What do you do when you've a day off and the kids are at nursery/school! 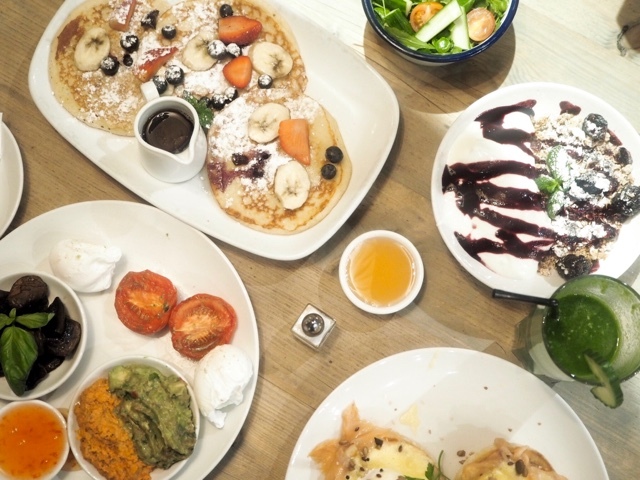 Why grab your mum friend and head to brunch for a girly catch up! 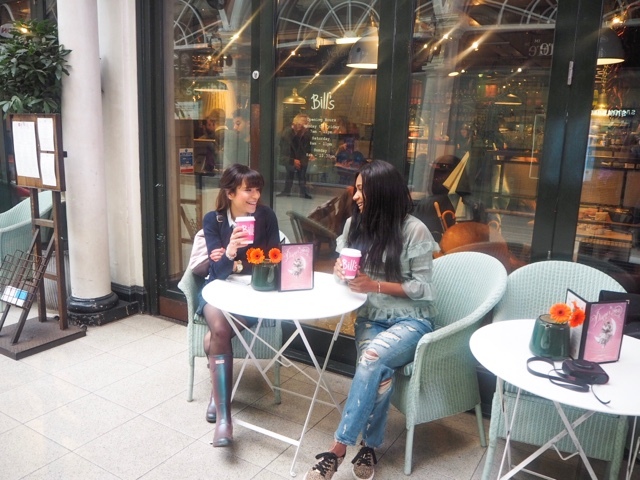 I meet up with the lovely Sarah from My City My London I meet Sarah through none other than Instagram, that's where I've had the opportunity to meet and make some lovely new mum friends, the power of social media! 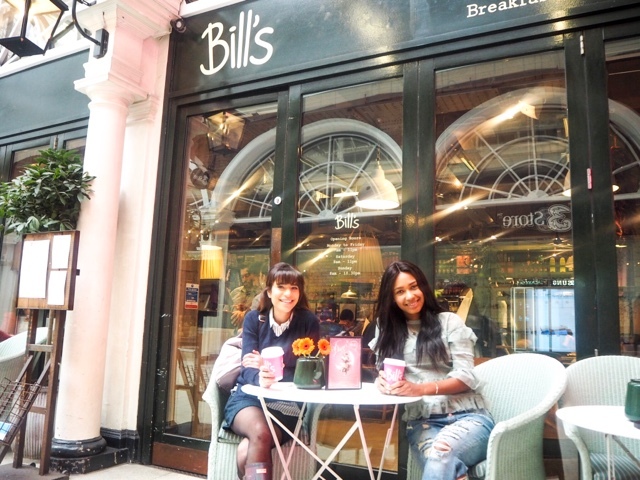 We were invited to come to Bill's for brunch in Kensington High Street, you know me I never turn down brunch, especially when I know pancakes and lattes are involved are involved! Plate after plate came out, I started off with an eggcellent choice of Eggs Royale, followed by the fluffiest buttermilk pancakes with a mix of fruit laden on top, a great way to get a portion of your five a day! 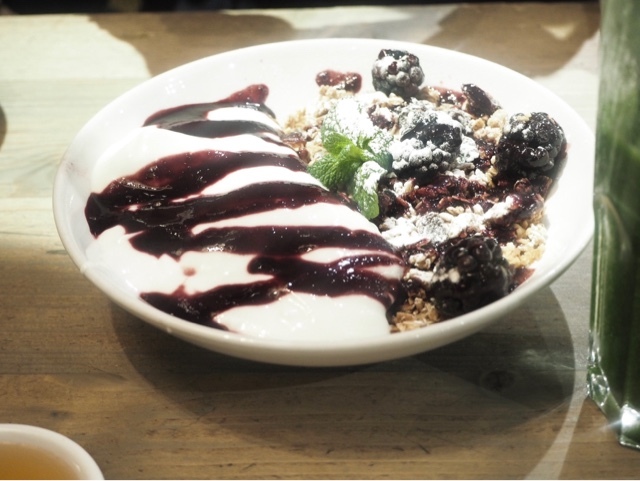 All ended with a sweet treat in the form of granola, I mean just look at the blueberry sauce streaked all over the yoghurt, a perfect blend of crunch and silky-sweet yumminess. 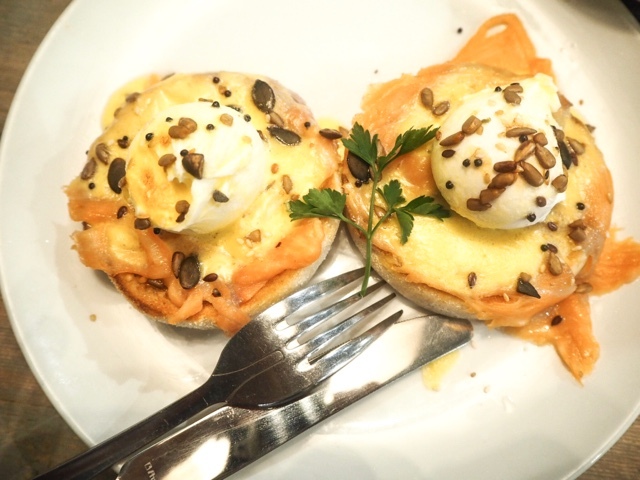 I have to say you are truly spoilt for choice, for breakfast/brunch at Bill's and for those who have dietary requirements they have a menu to suit. It's not just for us big kids, wanting a tasty treat to eat, but great for the whole family, be it for breakfast, lunch or dinner. Decor is great, all dark and woody, with a feel of being in a cottage come-dine-with us vibe, ambience, nice and busy but not too loud, filled with families, business meetings, locals and tourist too. Not a bad way to start the week I must say and I shall certainly be back with my little Cha-Chi in tow! 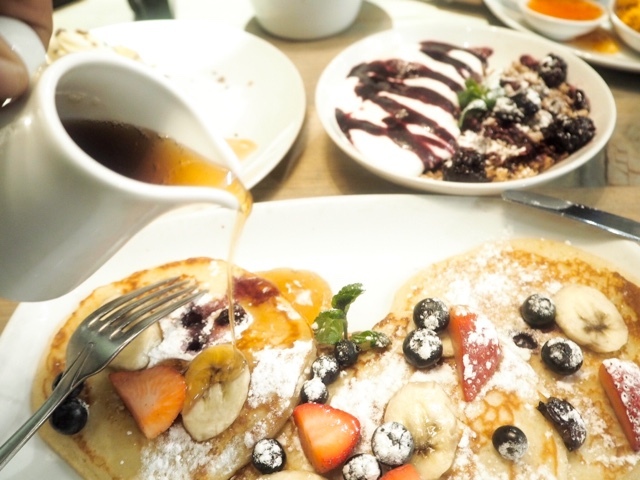 Do you know of any great brunch spots that you like to go, with friends and family? Have you tried out Bill's what are your thoughts? Please leave your comments below!